NOTE: As of May 2016, STEM OPT application guidelines have changed. Make sure to review application requirements and have all documentation completed before filling out this request form. You must comply with all OPT STEM reporting requirements to maintain your lawful F-1 status. STEM OPT is employer specific. For each employer or change in employment, you must submit a complete Form I-983 to OIA prior to making the change or starting a new job. You are required to submit a self-evaluation of your performance (pages 6 and 7 of Form I-983) at the mid-point of employment and at the conclusion of employment. This applies for each position you have. Each job must be directly related to your STEM degree, consist of at least 20 work hours/week, and be compensated at commiserate rate of a U.S. citizen in the same position with the same credentials. 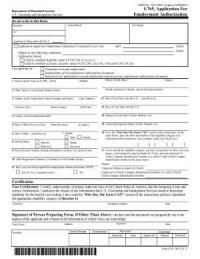 A new Form I-983 must be submitted to OIA when any material changes to your current I-983 occur, including but not limited to: employer name and address, decrease in compensation, change in hours, employer's EIN, or termination of employment. You are required by law to validate your STEM employment participation to OIA every six months through the OPT Update Form, whether or not there have been any changes. You are required to report any change in your name, address, employer name, address, or a change in employment or immigration status within 10 days to OIA through the form linked above. If you have any questions about anything listed above, contact OIA before submitting your application. Although OIA is available to answer any questions you have, it is your responsibility to maintain your immigration status and do so accurately. You are required to stay up-to-date with all immigration requirements, including STEM OPT reporting, and submit any required information to OIA within the timelines specific by the U.S. government and described above. Our office will not provide reporting reminders or check-ins. Failure to comply with the regulations set by the Department of Homeland Security (DHS) may result in denial, revocation, or termination of your work authorization and/or F-1 status. DHS may, at its discretion conduct in-person site visits to ensure compliance. In most cases, DHS will provide notice to the employer at least 48 hours in advance of any site visit. Please write the specific degree name and CIP code found on the I-20. e.g. 'Physics - 40.0801' If you are applying for STEM based on a previous degree, you will need to include a copy of the OPT I-20 from your previous school. Are you applying for a STEM extension based on a UChicago degree? * - Select -Yes, I earned my STEM degree at the University of Chicago.No, I earned my STEM degree at a different University prior to coming to the University of Chicago. If you are applying for the STEM extension based on a STEM degree from a previous institution, you will need to submit the Verification of Degree form and previous school's I-20 below. Have you previously been authorized for a STEM Extension by USCIS? * - Select -No, this is my first STEM extension.Yes, I've been approved for one OPT STEM extension previously.Yes, I've been approved for two separate OPT STEM extensions previously. Have you previously been authorized for the STEM Extension based on the specific degree listed above?? * - Select -No, I have not received a STEM extension based on the degree listed above.Yes, I have already received one STEM extension based on the degree listed above. Name of STEM-eligible employer where you are working or have an offer. My employer is enrolled in the E-Verify program and the E-Verify number is listed on my attached I-765. My employer is enrolled in the E-Verify program, but does not disclose the E-Verify number to STEM applicants. My employer is NOT enrolled in the E-Verify program. Choose the option that best represents your employer's E-Verify status. To be eligible for the STEM extension, you must have a job offer from an E-Verify employer. An Employer Identification Number (EIN) is also known as a Federal Tax Identification Number, and is used to identify a business entity. Your STEM employer must have an EIN and you must provide it before you can apply for the STEM extension. This number is also listed on page 2 of the I-983. Please only enter the unique 9-digit EIN. I will work more than 20 hours/week in this position (average). Enter the full name of your direct supervisor or the person who signed your I-983, if different. Enter an email address for your direct supervisor or the person who signed your I-983, if different. To apply for STEM OPT, you must submit a completed I-983 that is signed by your employer. All fields must be filled out. Please submit PDF files only. If you are applying for an OPT STEM extension based on a previously awarded degree from a school before UChicago, you must submit a copy of your I-20 from the previous school that shows your degree and CIP code. I will pay to have my document sent via express mail (FedEx or DHL) and have completed the express mailing instructions found on http://internationalaffairs.uchicago.edu/eship. I will pick up my documents from The Office of International Affairs.